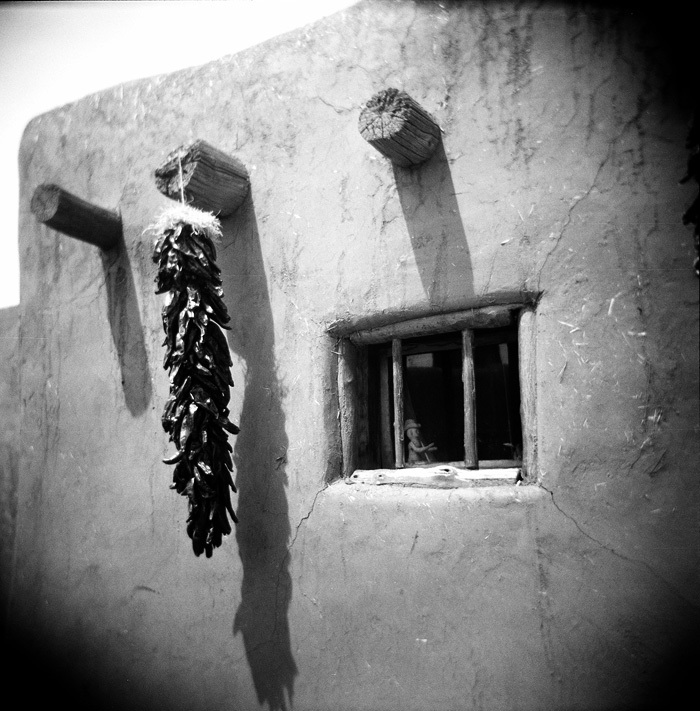 Chilli’s drying in the sun outside a New Mexico pueblo . Great capture. I like that cowboy doll in the window. haven't been to new mexico a lot of times but this sure looks typical of the houses near the border.. 🙂 cool catch! Wow, hold the chilli! Great effects, and yep, love the little wooden doll. Very good. I really love this.